Code to update Record Owner to Current User ID - Help! I'm very (very) new to Apex code development but am trying to accomplish a simple task. I have a custom button that points to a VisualForce where I intend to call a short code through a controller. I need the block of code to take a simple action: update the record owner Id (on the Account object) to the current user's ID who has just clicked the button. Simply, this button allows someone to 'claim' an Account. Any help at all would be greatly appreciated - I'm failing miserably at writing the code! where 'status__c' is a pick list and Reference_Key2__c is a string. Visualforce Dynamic Binding issue with Map Collections? I feel like I periodically run into this issue and feel quite certain that this is a bug. Maybe someone can help. What I am doing in my Visualforce page is create a pageBlockTable for each of the keys (my category) in the map. The values are put into a table and the Description__c field is available for editing. Here is an example. I have save button on the page that simply updates the records. 99% of the time the records update with no problem. However, when there are two keys in the map of category "VOE" and "Reference", the controller misplaces the values for the Description__c field. The descriptions get saved on the incorrect records. Anything other than the combination of those two keys works fine! Completely bizarre. I've read a bit about some dynamic VF issues with Maps but I don't see anythin definitive in the "Known Issues" list on the community site. Does anyone know if this is indeed a bug? And if so, are there any workarounds? I am using v24.0 of the IDE. I have some test classes that have some initilization code in a static block. In this block I am inserting a record. I realized after the fact that I was not setting a required field on the record I was inserting. The odd thing is that this insert is failing silently and not showing an error. This behavior started after I updated the IDE to v24. v23 shows the uncaught exception as it should. Has anyone else experienced this issue? When I open up the Test Runner Debug Log I can see the exception but I am not being prompted like in the past. This is making debugging really hard. 1) Display the validation error to the user in typical fashion using the addError() method. 2) Insert a Log record into my custom object called "Log__c" to record the incident. I can't find it in the docs, but the usage of the addError() method seems to disallow any DML...even to my custom object. Whats weird is that I am not getting an exception on my insert statement. In fact, the debug logs show that the insert was executed successfully, however, no record is actually created in my Log object. My guess is that there is a rollback occurring when addError() is used. I thought that executing my DML in a asynchronous method would circumvent this so I moved the log insertion into an @future method. This didn't help either. Is there a way I can perform this insert when my before trigger calls an addError() method on a field? Has anyone else had problems with this? I should note that my VF page has jQuery and jQuery UI running as well, but this should make no difference. This is driving me nuts. Any ideas? We have a solution that includes a custom object hanging off of Leads. We have built a trigger that uses an "after update" action to populate an Opportunity lookup on that field when the lead is converted. It basically check to see if the Lead "IsConverted", then grabs the "ConvertedOpportunityId" to populate the lookup on this custom object. This has worked fine for months until yesterday when we introduced a time dependent WF rule on that custom object. Now when we convert leads, we get this error. It references our WF rule, but then also has a bunch of jibberish that I do not understand. Here is the error. Does anyone have a clue what is causing this? And FYI, line 104 in the trigger is the update statement for the custom object after we have populated the Opportunity lookup. And what the heck is SNEEZY?? I am sort of struggling to figure out what best practices are for testing time and date dependent apex. I have an apex class that generates something like customer statements. The class sets a date variable using System.today() and figures out the month. Based on the month, it responds differently. In December, for example, it calculates a year end summary but does not calculate this any other month of the year. When writing unit tests, I need to be able to test every month to make sure it's repsonding correctly. How have others addressed this? I could have a testMode Boolean variable that I could set to tell the class to use the System date (testMode = false) or a supplied date in another variable (testMode = true). Is this considered best practices? I am trying to develop a VF controller extension that works with Leads and Opportunities. In my constructor I am checking the sObjectType of the standard controller then handling everything else according to whether its a Lead or an Opportunity. For some reason, I am getting an "invalid field Lead.sObjectType" error when saving in the IDE. I get no such error with the Opportunity.sObjectType. How is this possible? Again, only the Lead.sObjectType is giving me problems. I tested it with only the Opportunity.sObjectType and it works fine. 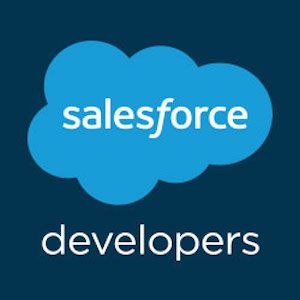 We have a custom web service built in Salesforce and are connecting to it with .NET. After adding the WSDL as a web reference in Visual Studio, we are able to create the required Enumerations and pass them into the web service. The problem is that the Apex web service is getting null values for all of the Enumeration variables. We tested this in Java and we do not have an issue there. Is there a problem with Enumerations being sent over from .NET? I am not a .NET developer so I do not know how .NET normall handles this. I am building a Lead prioritization class for a client. To give a background, here are the requirements. So I have a pretty awesome class that does this prioritization and dishes one lead out at a time. My only concern is that with the expected volume of Lead requests, there could be a possibility of accidentally re-assigning a lead to another rep that was just assigned. Rep A makes a request for a lead. At nearly the same time, so does Rep B. During the request, the appropriate queue is queried by the Prioritization class and about 50 records are returned. Some calculations are performed and the list of Leads are prioritized and reordered. The class then assigns the top Lead to the rep by updating that single record. So if Rep A and Rep B make a request at the same time, it's possible that the class queries the same 50 records for each rep. I need to make sure that if a lead is assigned to a rep, it is no longer available to anyone else to be reassigned. Do I need to introduce locking or some other keyword or modifier? Am I overthinking this? Any help is appreciated. I did a lot of googling and I am struggling to find out how to call my custom webservice method from Java. I have set up my project to use WSC and the partner WSDL. I have downloaded the WSDL for my custom class containing the webservice but I'm not sure what to do with it or how to call it. Can someone walk me throught the steps? For reference, I have this project set up in eclipse and I am able to connect to the API using the WSC and partner wsdl. I just need to know how to incorporate the custom WSDL, and how to call my service. For some reason, it does not like the fields that arent mapped. I am really confused why this is happening because the SDL file workes in the Data Loader GUI, but not the CLI. I have an issue that I cant seem to resolve. I have a Force.com Free Edition org an I am building some Pages in the Sandbox. I have a simple custom object that is acting sort of like a Hit counter. It's just got a couple of text fields and a timestamp field right now. There are no validation rules on the custom object. The only thing I can think of at this point is that it has something to do with the org being a Free Edition, or the fact that its in the sandbox. Here is my controller, but I dont think its the problem. Also, thanks to my Tweeps for helping me to try to troubleshoot this yesterday! Admittedly, I am not very good at regular expressions. I was wondering if I could get some help on this. I have tested this regex on http://gskinner.com/RegExr/ and it works fine. I am not getting any result using the Pattern/Matcher. String containing an expression...how to calculate it and return a Decimal? I want to take this string and use it as an expression, and get a Decimal value. Is this possible? How would I do this? Summer '13 now working always with 18 char IDs. This can cause code issues. Pre-Summer that assertion fails, as Id15 is the 15 character Id and Id18 is the 18 character Id. In our custom code many times we use Custom Setting and Custom Labels to avoid hardcoding recordtypes, profiles and other "constant" values. We usually worked with 15 character Ids as Salesforce (SOQL) sometimes returns 15 and other times returns 18 character Ids. As this is happening now with the Summer'13 but not happening before with Spring'13, this invalidates many coding. We found this problem as Salesforce triggered a deep system error like this Salesforce System Error: 1619326252-34083 (1564369920) (1564369920) trying to compare a SelectOption loaded with record types with a Custom Settings String Id Stored. This is a really weird annoyance. You can take a workaround working always with ID type instead of storing Ids into Strings, and always working with 18 character Ids, wether you hardcode Ids into apex and formulas (not a good approach) or you use custom setting and labels to store the ids. Hope this helps... I lost all morning trying to figure out this. I'm looking into the option of building a public facing REST based API on force.com but there is one issue about this that sticks out. Unlike public Visualforce pages, in which you can provide a custom URL (sort of, SSL is still not fully branded) there is no way to setup custom URLs for Apex REST or SOAP services. This includes logging in and invoking actions. Even if we could brand these Apex Web Services we would still have the SSL issue. If salesforce.com wants force.com to become a real option for buidling services on it this issue needs to be addressed. In the mean time is anyone familiar with work arounds? A proxy server perhaps that simply redirects requests to salesforce.com? I have no idea if this would work, just throwing out ideas. Is there a one-step way to wipe-out an org? I was able to do a one-step deploy by using the migration tool. Now, I want to do a one-step undeploy. What I'm doing right now is to create a new org each time a new to do a fresh deploy. I really hope this is already implemented, if not please advise me in where to ask this to salesforce technical support. ı have more than 1 before trigger for the same object. Can anyone knows a good template for that? Both of them works great in Sandbox but I receive null pointer error from the test code. I have a client who wants to use Salesforce for two completely different things - one group will use one set of tables (objects), and the other group will use another set of tables. There is no interaction between to two sets of functionality. One set of functionality is already developed and working. The other is my job. Should I just create new objects and pages inthe existing application, and then set up profiles so that one group sees their stuff, and the other group sees their stuff? Or should I create two completely different applications? If the latter, how do I get to a screen with an essentially blank application. When I click on the link to create a new applicatication, I just get sent to developer.force page. This may end up being a dumb question, but I'm very grateful for any help! I have a trigger that I'm trying to test, and though it works when I test it manually via a UI case update, I can't get the test to work at all. For some reason, this assert always fails, though, again, it works smoothly in the UI. I don't seem to even be able to force it--it's like the "before update" trigger is being ignored, and the AssetId field is just being updated without firing any trigger. Is there anything that could cause a trigger to not fire or be somehow truncated in the context of an Apex test? Best practices for importing daily data - Fields or Lists or ? I am trying to import google analytics data (date, page views, visitors) on a daily basis, and want past data available for reporting / dashboards (kind of like historical invoices). What are the best practices around doing this? I created a custom object and custom fields, but it seems like that will be overwritten daily, and won't give me a nicely formatted excel-style list with columns. Is there a way to create a custom related list, or should I create custom fields within the activity lists and use those? My longer term plan is to have a number of different custom metrics, imported daily, so I want to start off correctly. I am trying to migrate profiles from one salesforce org to the other through eclipse. I have included all possible components in the project from the source org and when I deploy the profile to the target development org using the 'deploy to server wizard' of eclipse. It deploys on the profile on the target org but there are certain mismatches in the deployed profile. These mismatches are related to tabviibilities, standard object permissions and general user permissions. Is there a bug here in the metadata deployment of profiles or am I missing something here ?